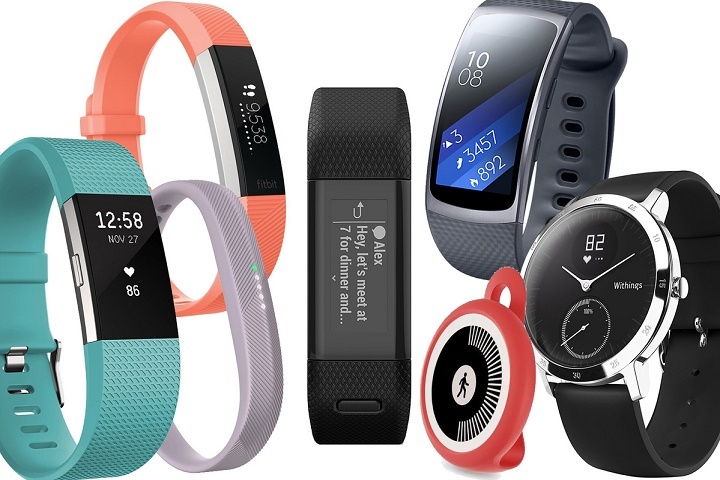 There are so many wearable trackers on the market, but it can be difficult to choose a right fitness tracker that best suits you. The right device is based on your individual needs: step counting, sleep tracking or 24/7 heart rate monitoring for everyone. No fitness tracker does it all, but some tracker get close than others. We saw the launch of several new fitness trackers over the last year. Most of them have focused on style and improvement of the feature. 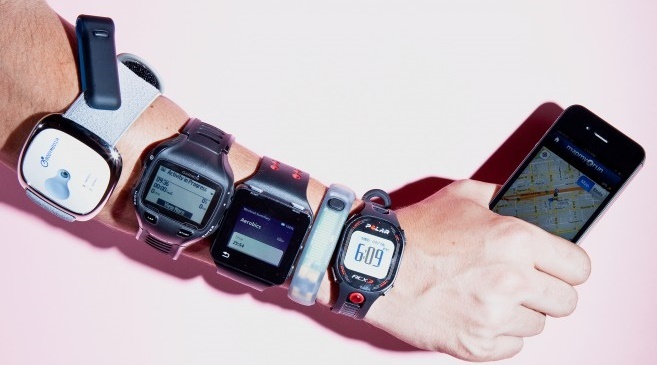 It’s sad but true that all fitness trackers are not for everyone. With so many features to choose from, it is difficult to determine what good features are at the right price . To help you get through the increasing number of options, this is what you need to know before buying a fitness tracker, regardless of your workout style. Most fitness tracker targeted everyone, from beginners to gymnasts, from runners to swimmers. So how do you find the perfect fitness tracker for your life? Here are some things to consider as fitness tracker buying guide. Proceed to buy a fitness tracker, think about all the activities you expect, and set your goals as part of the reason. You could have a goal for 10,000 steps a day, or burn calories a day, for example. 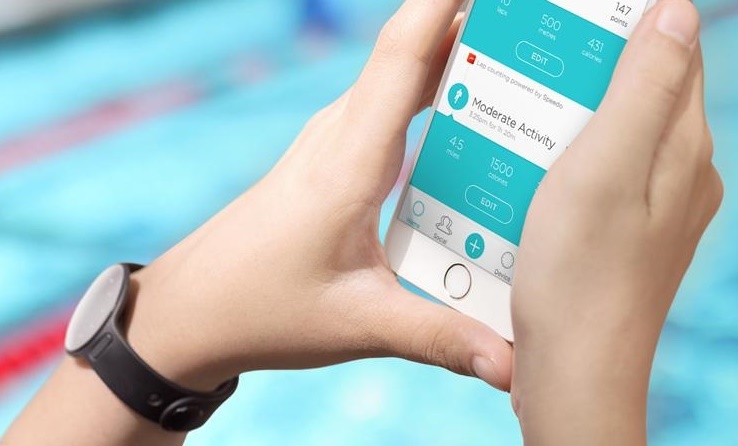 If there is any activity you like, such as swimming, make sure the activity tracker and software are designed for it. In this case make sure it’s a waterproof fitness tracker. People who have a less frequent favorite activity, such as the rope jump, can verify that the activity is recognized by the software. Those who are new to exercise, or just trying to get around, can do everything they need for a basic follow-up, many of which will give you an estimate of the amount of calories you have burned. Different type’s fitness tracker comes with different price. The modern generation fitness tracker offers wide range of feature. But it price can be little bit high. Most of the manufacturer releasing 2nd and 3rd generation devices. That’s why their earlier version becomes cheaper. If you are a beginner and you have a low budget then you should focus on price, not features. But if you have mid-level budget you can get compromised feature and reasonable price. Most of the fitness trackers are designed to be worn on the wrist, but some can be worn as pendants or clipped with clothing. In previous time, devices tended to look purely functional, but in recent time manufacturers are more conscious about style. They are looking for a greater variety of materials, shapes, and colors. Even some models are created in collaboration with fashion designers. Choose a look that you’ll feel comfortable wearing every day. While the choice used to be about what color band you went for, or whether it had a screen, smart analogue watches are now offering even more choice. 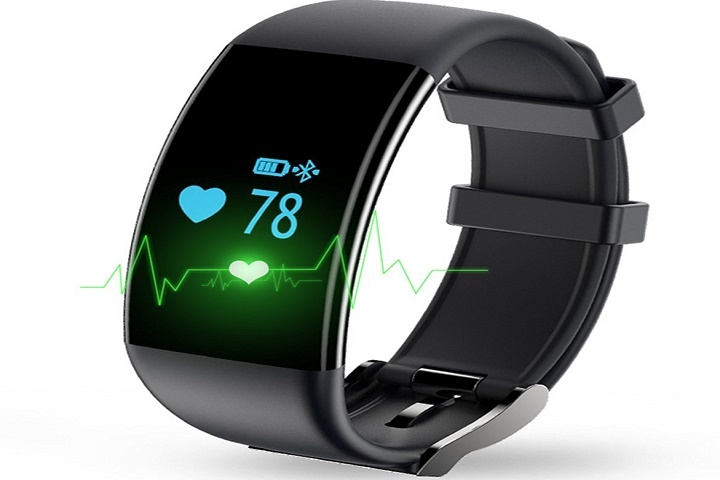 One of the most important features of best fitness tracker is heart rate monitoring. Heart rate monitors are also important when it comes to training. Your body has 5 heart rate zones. Not many people however know what their heart rate is, or where it should really be. This means that often, they are not training in the most efficient way to achieve their goals. All top athletes’ heart rate train, as they know this will help them to reach their top potential in the shortest amount of time possible. Advanced heart rate monitors that are used for performance training such as triathlons or marathons can cost several hundreds of dollars. But luckily, heart rate monitoring is fast becoming a standard offering for new fitness devices. Don’t expect perfect heart rate readings, though, from a wrist based heart rate monitor. Particularly when you engage in high intensity activity. If you are really serious about heart-rate, you will be better off with a chest strap. How often do you encounter water when you work out or other activities? That’s an important question, too. Some trackers are just splash proof. Others can withstand with a hardy shower indoors or out. But if you’re going to wear your tracker in the pool, it must be waterproof. Here you will find best waterproof fitness tracker. Sleep tracking is also becoming a common feature. Fitness tracker simply monitor total time to providing details on various stages of sleep such as light, deep and REM sleep. Many devices also have silent alarms that vibrate on your wrist to wake you up without disturbing your partner. Sleep tracking has become a fairly standard feature in fitness trackers, but if it is important to you, you may wish to check out devices that track automatically as some require switching to sleep mode to enable tracking. Fitness trackers with built in GPS are a bit more expensive than the more run of the mill variety. This is partly because they need to have a color screen and a display big enough so that you can actually read the information. Maps are only useful if you can read them without a magnifying glass! If you are, for example, an avid runner, you will want to know every detail about your training sessions. You will want to know when you moved fastest, when you struggled and what kind of terrain you were having trouble with. 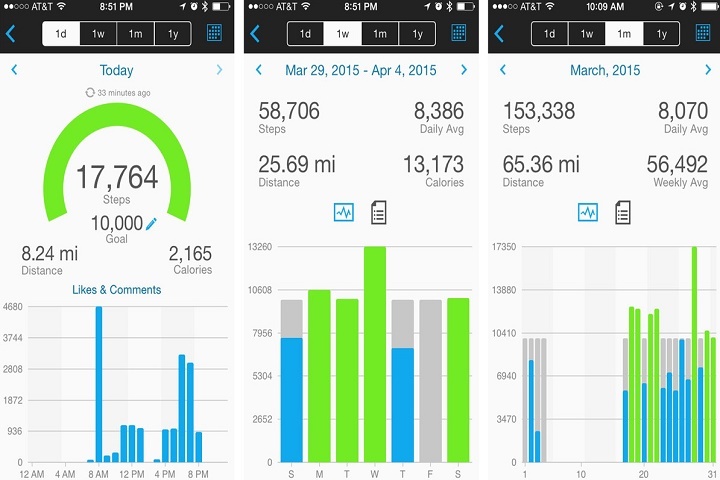 When you combine GPS with a fitness tracker, all of this information is at your fingertips. Also, if you are worried about getting lost a GPS may be a useful option. Regardless of which fitness tracker you choose, eventually you are going to have to take it off to recharge or change the battery. When this is occurring, the device will obviously stop tracking your activity, so you will get gaps in data. The battery life can vary quite a bit. Depending on the tracker you buy, you’ll get anywhere from a day or two of battery life to an average of four to seven days to 6 months or more. An increasing number of fitness trackers can do more than just track activity. Some, for example, sync with your smartphone to notify you when you receive a new voicemail, text message or social media notification. They can be used to remind you of important events of calendar appointments. Many wearable’s also offer some kind of positive feedback often in the form of virtual rewards – called badges, or congratulatory e-mails – when people meet their daily goals. Having your hard work acknowledged can make you feel good. Some trackers are better at this than others. Is this important to you? Most fitness trackers have a own app that shows your synced data, and then some. Some apps let you change or manually log the details of your workout after you’re finished. This is especially important if you do a variety of exercises and want to differentiate cycling from running from yoga, which can make your calorie-burn data more accurate. Devices and apps will track the quality of your sleep, and you may be able to manually change the times when you fell asleep and woke up in the app, just in case your device’s automatic-sleep tracking isn’t perfect.